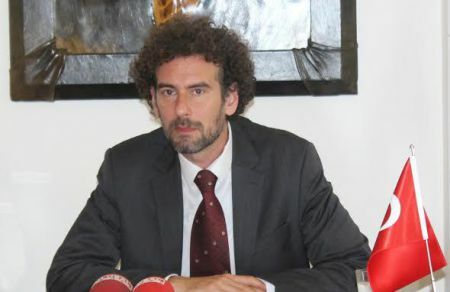 Şule Nazlıoğlu Erol, Deputy Chairman of the Patriotic Party (Turkey), made, on the 11th of July 2015, a press statement in Ankara Güvenpark about the agreement between the AKP government and the USA to use the Incirlik Airbase in Adana for UAV operations in Syria. A team consisting of 40 people headed by the US President Barack Obama’s special envoy John Allen and Brett McGurk continued negotiations in Ankara for two days. In the negotiations it was agreed that the armed unmanned aerial vehicles of the USA will use the Incirlik Airbase in Adana. Under the cover of fighting against ISIL, the UAV’s taking off from Incirlik will conduct operations in Syria; the agreement is now before the US government and the AKP government for signing. 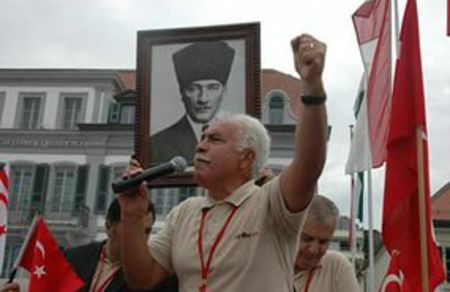 We are warning the AKP government: the territorial integrity of Syria is the territorial integrity of Turkey. The US-Israel corridor that is trying to be established by US imperialism paves the way for the separation of Syria and Turkey. Your hostility against the democratically elected Syrian leader Bashar al-Assad and your sectarian policies have failed each time by the resistance of the Syrian people. The gangs which were equipped with US weapons to attack Aleppo were defeated once more. If you sign the agreement that opens the Incirlik Airbase to the US, you will certainly account for this betrayal of the Turkish nation. The land force of the so-called Kurdish Corridor of the US-Israel is the PKK/PYD, which is led by the US Special Forces. It is known that with the air strikes of the “coalition” led by the US and Israel for months, an ethnic cleansing has been carried out by deporting the Arabs and Turkmens in the region and that the way has been paved for PYD. The US Secretary of Defence and Obama defined the PKK/PYD as their “land forces”. We also emphasize that those who claim that they would achieve a revolution under the protection of the US led “coalition”, are also in betrayal to Turkey. We also warn them. The cost of the betrayal will be severe. The plans for an US-Israel corridor in the north of Syria and its elongation to the Mediterranean will not be allowed in any way by the Turkish nation. The separation of Syria will never be realised. The countries that are trying to be divided, namely Turkey, Syria, Iran and Iraq will unite. We will overthrow the governments taking part in this treason and we will defeat US imperialism in our region. 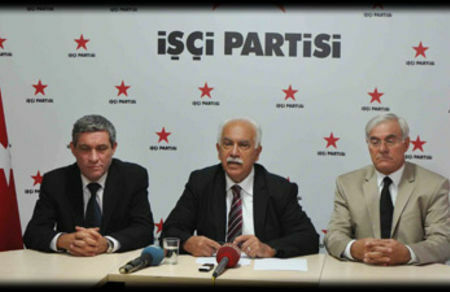 The Deputy Chairman of the Patriotic Party, Yunus Soner evaluated the election results. 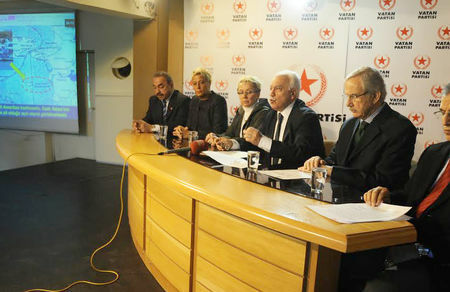 Doğu Perinçek, Chairman of the Patriotic Party (Turkey), held a press conference at the Headquarter of the Patriotic Party in Ankara on 2 April 2015. 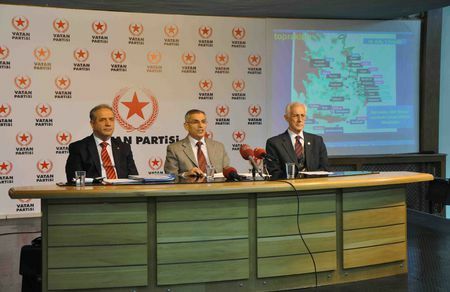 R. Major-General and Deputy Chairman of the Patriotic Party, Naci Beştepe, evaluated the occupation and annexation of 16 Turkish islands. All terror organizations in Syria, including the PKK, shall be cleared up and the cooperation with the countries of the region must be activated!